Douglas Nelson has been a massage therapist since 1977 and is the founder of Precision Neuromuscular Therapy (PNMT). What makes PNMT special is the way it approaches soft-tissue therapy. More than a technique or modality, PNMT is really a way of thinking, applying clinical reasoning in soft-tissue therapy. He is also the author of the book The Mystery of Pain. I was curious about the book ‘The Mystery of Pain’ by Doug Nelson. Not only was it prominently displayed as the feature book at OSM’s store, but after thumbing through it, I discovered that the author had taken a serious and broad investigation into the field of pain. The book speaks to this author’s deep dive into pain and catalogues his extensive sources and recommended readings. Nelson has taught the accompanying seminar to over 4,000 people across the USA. In addition to massage therapists, he has presented this material to medical students, nurses, physical therapists, occupational therapists, and psychologists. On September 8th, Doug will teach the class as part of OSM’s Massage & Wellness Weekend. 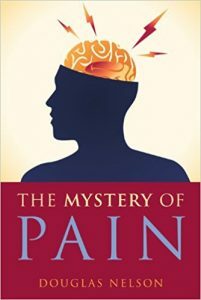 The Mystery of Pain is a fascinating journey into the very heart of how you understand, and therefore treat pain and suffering. A deeper understanding of the science of pain will open new vistas for exploration and increase your effectiveness with clients who hurt. Essentially, the more deeply you understand the process of pain, the more power you have to influence it. Emerging advances in the science of pain are not only fascinating; they open doors to possible avenues of treatment. This 4 hour class gives you the opportunity to examine pain from a variety of contexts. NCBTMB approved through the instructor. Additionally, Mr. Nelson is conducting a free presentation on Making Research Relevant in Massage. This is part of the Massage Connections series at Oregon School of Massage. Massage research is becoming more and more prominent in the ecosystem of massage therapy. What many massage therapists struggle with is relevance. They know that research endeavors are important, but they do not always understand how to apply research findings to their daily practice. Mr. Nelson will highlight several research studies and apply the findings to clinical cases. 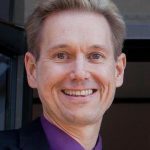 With 40 years of experience in massage, Douglas has discovered how ‘research changes your daily practice’ and welcomes you to expand your perspective regarding how to apply research findings. Nelson believes therapists “learn so that we can grow, and we grow so that we can serve”. We welcome you to participate in this enlivening discussion. If interested in any of these events, please call 1-800-844-3420.